Update: The latest options added! It's possible to use Google Maps offline, which is ideal if you find yourself needing to scope out a route or figure out where you are when you have no Wi-Fi, patchy 4G signal or simply don't want to burn through your monthly data allowance. Many people use Google Maps daily, and some rely on it completely to navigate their way around their worlds. If you've ever traveled to a new city and had to find your way around, you'll appreciate how useful it can be to have maps available at all times. Here's how to use Google Maps offline. Open Google Maps (while online) and search for your desired location.You can either use your current location to save the area around where you are, or search for an area you will be traveling to. Once you've found the location/area you want to save for offline use, the easiest way to download it is to go to the options menu by tapping the three lines (hamburger) icon and tapping Offline maps. Next, tap select your own map at the top of the screen and you will be prompted with a message that says "download this area?" Drag the map inside the blue square box until it encompasses the area you want to map. Pinch to zoom (putting two fingers on the display and bringing them together) to close in on the area you want. Move your fingers in the opposite way to zoom out and encompass a larger area. You will notice that the file size will update automatically at the bottom of your screen. The larger the area you want to save, the larger the file size will be. Once you are happy with the map area, tap Download. You can also navigate to the download area by dropping a pin or searching for a place of interest and tapping the box at the bottom (as if you were looking for images or the exact address) and clicking download on the right-hand side. You won't be prompted to name the area immediately, but you can do so later via the offline maps area you have just entered. Once you have downloaded the map to your device, you can access it by tapping the menu icon at the top left of the main Maps page and returning to the offline maps screen. You will also see the expiry dates and file sizes of all of the maps you have downloaded. Maps will expire after 30 days unless if you don't use or update them. You can also delete previously saved maps from this screen by clicking on the three dots to open the options panel. If you don't want to lose your downloaded maps, you can set them to automatically update before they expire. Press the cog icon in the top right of the offline maps screen and make sure that the first option, automatically update offline maps, is turned on. You can also select whether you want your maps to update over Wi-Fi only or if you are happy to do it over your mobile network as well. Once you have downloaded a map you will be able to use that area in much the same way as you would if you were connected to 4G of Wi-Fi. However, there are some limitations to the functionality of the offline maps, mostly regarding the size of the location you’re looking for. You cannot download a map of, say, the whole of Denmark. The box you draw around the area you want has a limited size, and it's not possible to download anything that takes up more than around 1.5 GB of storage space. You will also miss out on walking directions, live traffic information and route changes for things like avoiding tolls if you use your Google Maps offline. Downloaded Google maps tend to require quite a lot of storage space to accommodate the detailed information they provide, so we recommend connecting to Wi-Fi before downloading all the maps you need. Bear this in mind when choosing how you want to update your offline maps if you don't want them to expire. A Wi-Fi connection is not that difficult to find these days, so we suggest you limit the automatic updates to occur over these networks only. It is also possible to use offline maps whilst keeping your mobile data active for other apps. Open the Google Maps menu and turn on Wi-Fi only mode. You will still be able to use your offline maps, and you will be saving both battery and mobile data this way. Has using Google Maps offline come in handy for you? Let us know in the comments. I want offline google map route between two cities so i can use easily.so please suggest is there possible programatically to offline download. Bro! how i can download and use it on computer? Hi there, I have too much tried to use downloaded maps. I didn't find where downloaded file exists to run for navigation. I checked it in ' Your places > saved. But the downloaded files are not available here. I went to offline areas > select 'HO khi' it appears Delete/ update. pl. let us know where to select the downloaded file to navigate. Easily downloaded an area. Tried to use it next day (still 29 days before expiry!) but the ONLY OPTIONS were to UPDATE (impossible, because now offline) or DELETE. What's wrong? When you prepare a route there is now an option to download just the route, in case of connection problems. Offline is an extremely useful feature. We are using Google Maps offline to navigate our yacht through South Pacific coral reefs. Question: is there a way to force the app to download best satellite resolution? Extensive testing has shown that a "useable but not detailed" satellite image is downloaded. Even for a 1km^2 small area. Hell yeah! Offline comes in handy when the signal gets lost after starting your route! Awesome feature! Why is there less detail in the downloaded maps than when you are online. Can that be adjusted somehow? I use the offline data in a way that the close detail in the satellite map is necessary. Problem with Maps is it uses a lot of battery too. That's why I use it only for short trips. Otherwise I use Nokia Here, now Here To Go which works pretty good. Nokia maps are very accurate and existed before Google Maps. They can be stored on SD card. One thing I hate with Maps on line is it says nothing when it loses the connection ! Very good way to get quickly lost. I use Maps on my motorbike with vocal guidance. I don't understand why it's not possible to just send and alert message or emergency signal when connection is lost. Anyway, I don't get this problem with Here. Update 180815: Initially I was pleased with GMaps expanding map size and permitting microSD downloads, but the four-week expiration period negates usefulness for extended traveling. You have to remember to refresh the Google's offline map before departure, and it's really not so easy to find wifi for several hundred MB downloads if they expire while on travels, especially anywhere outside major cities. Google's always had the best online maps, but it fall way behind OSM in map size, available offline detail and the serious problem of files wiping automatically every four weeks. There are several good OSM Android clients, each with regular updates but no automatic deletion of old ones. Each has a substantial learning curve. I have stayed with OSMAnd, which is free to try with full functionality for up to six very large maps. Now offline maps do not expire after thirty days. Automatically download offline areas checked in box. Now downloaded areas update automatically before expiry date. Whenever device connect to WIFI fifteen days prior to the expiry date. save every area that you will travel trough, make the areas overlap by a large margin, save those all as offline areas, when you are done click turn off data usage so it doesn't try to use the internet and corrupt your offline maps. also as a backup download the android app Here maps and download all the areas you'll travel to, this is in case google maps doesn't work. Nice article and helpful. A very nice feature to able to use it offline. Completely useless information. Google Maps are garbage. They take so much space, it's impossible to use. You can't even fit one city, let alone a state. I am looking into CoPilot. You really could not be more incorrect. Downloading maps for offline use is incredibly useful for preserving data usage. Google Maps is the best map program to date as they are constantly updated with new information. Brand new construction zones are often in google maps navigation. If you can't find a city or a state in Google Maps then you really should learn how to operate your device properly. Have been using Waze with much success, especially traffic. Sometimes,especially rural areas, although strangely central London, cannot get signal. Recently tried Co-Pilot after few years of letting it "evolve"......it has not - Waze superior. Just downloaded Google Maps I need, which I have been informed is better. Co-Pilot very good for lane direction, cameras and is prettier - others wipe the floor with it. 500 mile road trip tomorrow and trying Google maps - all easily downloaded. Have a lot of confidence Google Maps will be new champion. Do not waste money on Co-Pilot like I did. Learn to download Google Maps, as suggested below, it is quite simple and you will be rewarded. My experience about Google Apps offline are not so positive. Google Voice doesn't work offline in China. "Offline maps & Navigation 1.1.19 for Android 2.1+ APK Download" is a good choice to start playing with maps. I got it from from www.apkpure.com. 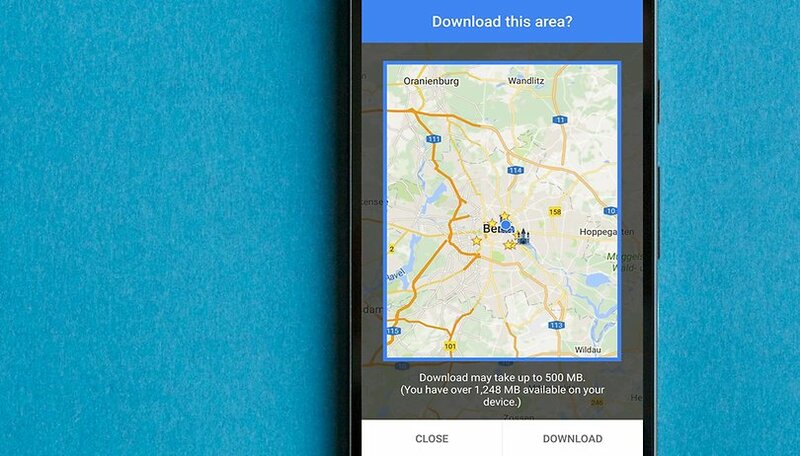 Initially need to be connected to Internet to download the necessary map data that will saved on Android device. And the best offline compatibility check is to set the Android device in "Airplane mode" and complain to Google if APPS doesn't work. I have an area downloaded for offline use. Maps has been at it for about 12 hours so far, and has reached 0%. Something is amiss.